Kendelee Leascher Works is an attorney at Christiansen Law Offices in Las Vegas, Nevada, and focuses her practice on trying Plaintiff's catastrophic injury cases, including medical malpractice, motor vehicle accidents, premises liability and other wrongful death matters. Ms. Works also represents individuals accused of criminal wrongdoing in all phases of the criminal justice process from initial appearance and arraignment through preliminary hearing and trial. Ms. Works has extensive litigation experience and is also knowledgeable regarding alternative dispute resolution methods such as mediation and arbitration. She has guided a diverse group of clients - individuals and a wide range of businesses - through all aspects of the litigation process such as discovery, trial and appeals. Ms. Works graduated with a bachelor's degree from the University of Nevada and earned her law degree from the University of Nevada William S. Boyd School of Law. She gained valuable legal experience by completing a judicial externship, as well as interning for the Nevada Legislature, the Clark County District Attorney's Office and the Washoe County District Attorney's Office. Ms. Works began her career in private practice handling primarily business litigation and personal injury defense. She later transitioned to the Clark County Public Defender's Office where she learned the ins and outs of the criminal justice system and honed her skills in the courtroom, which now serve her well in her role as a trial attorney representing injured plaintiffs and criminal defendants. 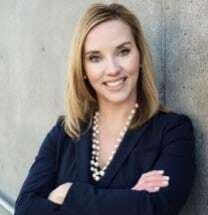 Also active in the local legal and professional community outside of her practice, Ms. Works is a member of the State Bar of Nevada and has served as Secretary and Chair of the executive council of the association's young lawyers division. She is also a member of her local chapter of the American Inns of Court, a group made up of legal professionals dedicated to consistently refining and cultivating the legal profession.